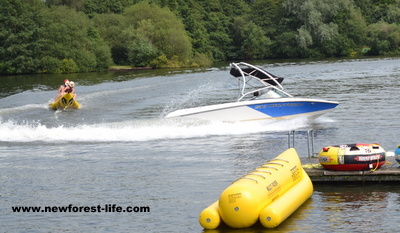 New Forest silver surfers unite - make your life full of fun! Have fun and enjoy life! New Forest Silver Surfers unite! We can now enjoy life to the full and hopefully get a great deal of fun out of life. If, like me, you feel at the very most about 22 and a half but then a look in the mirror gives you a reality check so what? Get plastic surgery - have the droopy bits lifted, snipped off sewn up again and then confront life looking a bit surprised, and if you choose a naff surgeon you could end up looking like an old, surprised gargoyle! Do you really fancy this? and who are you doing it for? Or? You can come to the New Forest and experience some really great times, always remember - to the New Forest animals we all look just the same. So ditch the Prada or if you can't....stay away! So, New Forest silver surfers, there really is loads for you to do, but first lets concentrate on where we are at in our heads. We may have grown up in the 30's, 40's, 50's or 60's - it doesn't matter. Every decade has been different but every decade has had loads to offer us in life. We can sing the words to any songs which now end up as re-releases - and knee or hip ops aside we can still bop with the best! We have had enough life experiences to know the real value of life and not be fazed by what it throws at us. We all know that age really is just a series of numbers which do not add up to the whole, wonderful person - which is you! I was having a stressful day at work the other day and I suddenly had a vision of this little grey, bean type thing laying on its back with its arms and legs in the air, crying out! Yep, my own vision of my only remaining grey cell working that day! But then I came home, looked out of the window and saw the beautiful scene outside, all was back to normal. What fantastic therapy! So, New Forest Silver Surfer, what do you fancy doing? Have a look at the links around my New Forest Life site. The choice is yours and more importantly all the time in the world is yours too! So who is the overall winner here then? Bits have drooped or gone south for the winter but as long as the old grey cells are still working, life is there for you to enjoy! If you want to get a feel for what I'm talking about but are not too sure whether you have enough confidence to think of building your own website, although you may be passionate about your subject, have a quick look at this Blog and find out how the tortoise can win in the end - even on the Internet! Cycling activities, along the lovely lanes, Horse Riding, is a wonderful way to get close to the animals, Fishing, Water Sports; and lots more to do on your Days Out. Come to the New Forest as a Silver Surfer and choose what you want! Are you really brave? Are you bringing a tent? 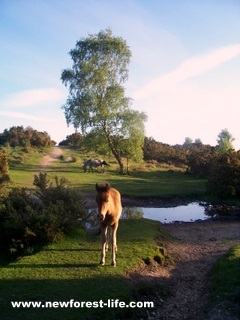 Let me suggest some wonderful Campsites - right in the heart of the New Forest. I'll also recommend Caravan Parks I think you will enjoy. Perhaps you'd prefer to discover romantic recommended lodges - I've visited these myself. If tents are just too much what about a romantic break? I'll suggest Hotels; B&Bs: lovely forest or seaside Cottages. It's all here for me to recommend to you. Why not try Silver Surfers for more information on that lifestyle change? Perhaps you would like to use WikiMapia to look at more detail of the New Forest? 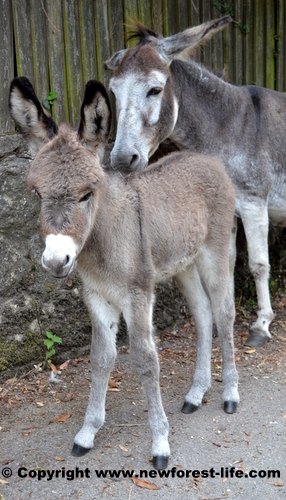 Would you like to be part of my monthly ezine New Forest Life Tales? You can subscribe and it is free. You can be assured your details will not be passed on, they will only be used, by me, to send you this monthly update on what is happening in this beautiful place and some of the animal adventures that happen to me. If you want to search New Forest Life.com without using the navigation bars on the left, then here's a really useful Google tool. Just put your search details e.g. Deer at Bolderwood in the search box and hit Search and you can choose to search my site or go onto the Web and come back to search some more. Good luck to all the New Forest silver surfers out there. You may be saying, but I don't live in the New Forest - my website goes all around the world so as long as your date of birth qualifies you just join in the fun!